Lady's Travel Purse. 13 x 8 x 9. 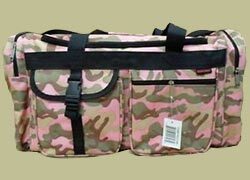 Available in Pink, Black and Camouflage. Lady's Over Night Bag. 22 x 10 x 11. 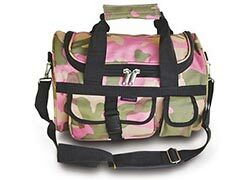 Available in pink camo. 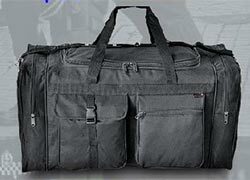 With double zipped #10 zip for the main compartment. 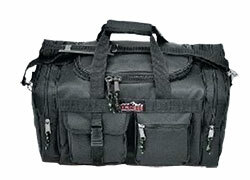 This bag is for a person that he can get all that he needs quickly. Heavy density webbing. Thick pad for strap. 31 x 16 x 16. Comes in Black, Tan, OD and ACU. Carry On Bag. 17 x 10 x 9. Black. Carry On Bag. 20 x 11 x 10. Available in Black and ACU. Carry On Bag. 24 x 12 x 10. Available in black. 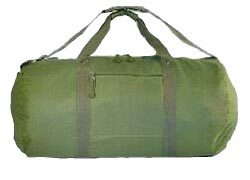 Carry On Bag. 30 x 15 x 14. Available in black or ACU. 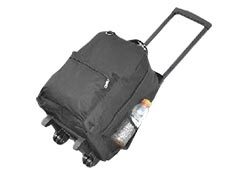 Wheeled Duffel Bag. 18 x 12 x 9. Black only. 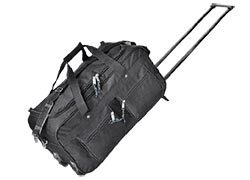 Rolling Duffel Bag. 30 x 15 x 13. 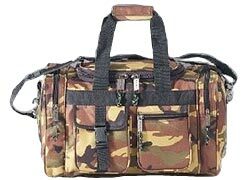 Available in Black, Pink Camo (extra) and ACU (extra). 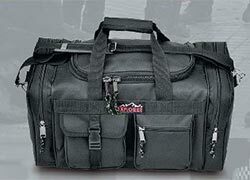 Rolling Duffel Bag. 30 x 15 x 13. Black or ACU.